Delicious. Each and every thing we ordered was awesomely flavorful. Wings were crispy and not overly saucy. The chicken sandwich was not even a little bit dry, which is an accomplishment. Great service. Our first time there, and we are definitely going back. Very good food and good service. My family and friends go here weekly! We love the staff and the food. Beer selections, drinks and menu specials always change. Great location- tough to find parking. Attentive waitstaff, delicious food, and the best Margaritas this side of Texas. I had Tap & Vine cater my husband’s birthday party. They were so easy and accommodating to work with, and the food was phenomenal! I highly recommend them for both the food and their very professional service! Thank you, for making this so easy for me!! This was a very nice restaurant. The atmosphere was soft and inviting and the staff are great. I ordered the black bean tacos, they were ok, could've used a bit more seasoning but good nonetheless.would definitely go back to this restaurant again! Amazing place. Food was good, waitress was amazing . Atmosphere was perfect. Great food and great staff. I highly recommend this place! Great beer selection, delicious food, and good vibe. 5 stars.... Our experience was great! Great service,food & wine selection.We will be back very soon!! Food was decent and customer service was great. Awesome food and service. They also have an Emmy award that you can take pictures with. Met the owner and he was super nice! The food was delicious and the service excellent! My husband ordered the Paprikash Chicken special and it was amazing, such great flavor. I had the T & P salad with grilled chicken, couldn't have been better! We happened to just accidentally find this place and happy we did! Fantastic little spot. Garlic parmesan wings are the best we've ever had. Great service our bartender was friendly and top notch. Wonderful food and atmosphere! Our waitress was lovely we will definitely go to eat there again,! Five Star for sure! Six star if you get pickles!!! Great place nice people thanks!!! Probably the best appetizers I have ever eaten. We just stopped in for a quick bite and food was outstanding. Service was a little slow when there wasn't many in there at the time. We just started going here about 3 weeks ago and we have been regulars here since! Love it here, food is always great, staff is wonderful, always so welcoming and attentive. There special po boy wrap was the best, so was the tuna tartare. Definitely recommend it here! Good food, great ambiance, good drink selection, friendly staff, and a special shoutout for some of the most comfortable bar stools I've experienced. Food is tremendous. And great atmosphere!! Erica was wonderful and the food is great. Good Drinks, Great Food, Excellent Service! Wonderful food and service! Very clean and lovely atmosphere. Love their drinks and food!! Great drink selection and food. My favorites are the brussel sprouts, Philly cheesesteak egg rolls, and the grilled chicken sandwich. Great food and service. And nice location. Very good food, welcoming staff. We will definitely be back! By far my favorite restaurant! The staff is so welcoming and friendly and the food is to die for! It was busy and laud. Disappointed. Excellent food!! Cozy and great atmosphere. The unique menu is always a welcome change from the usual bar fare. Try it! You won’t be disappointed. Great beer options and the service is "grade A". Glad I found this place. Serving size is great. Highly recommend it. 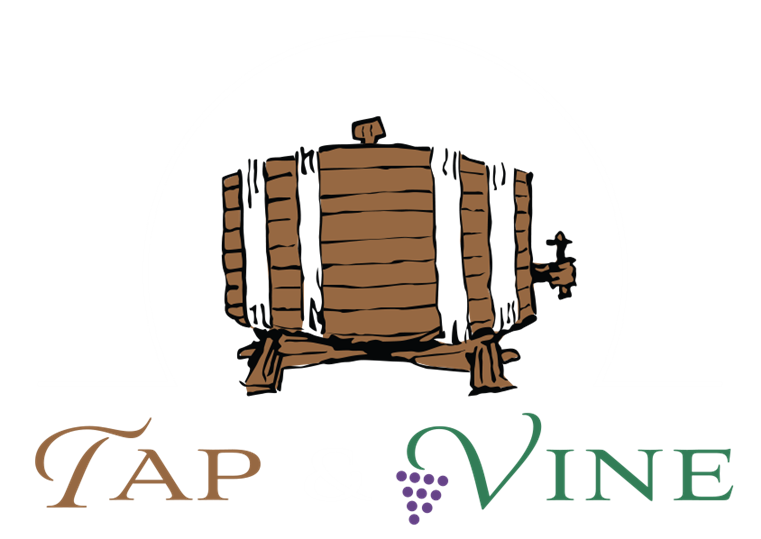 Had dinner tonite at Tap and Vine with my favorite gal pals... our bartender and waitress, Brenda and Erica were great! French martinis were awesome and the service was fabulous! We ate on the patio as the weather was perfect! Incredible, melt-in-your-mouth food. Cooked to perfection! Got the jalepeno watermelon margarita. Kudos to the creator, AMAZING! Also, fantastic service, ridiculously good steak and cheese rolls....and burgers were great. Highly recommend. We love coming here for a glass of wine and appetizers. The atmosphere and staff are very welcoming. They often have live music on the weekends. We ordering the tuna tartar and the BBQ burger. The shrimp and grits are pretty tasty as well. We frequently go to this restaurant once eve two weeks! You must try it!!! Just had dinner here outside - just lovely. . Brussels sprout and Mac & cheese apps were absolutely delicious! Will definitely be back.